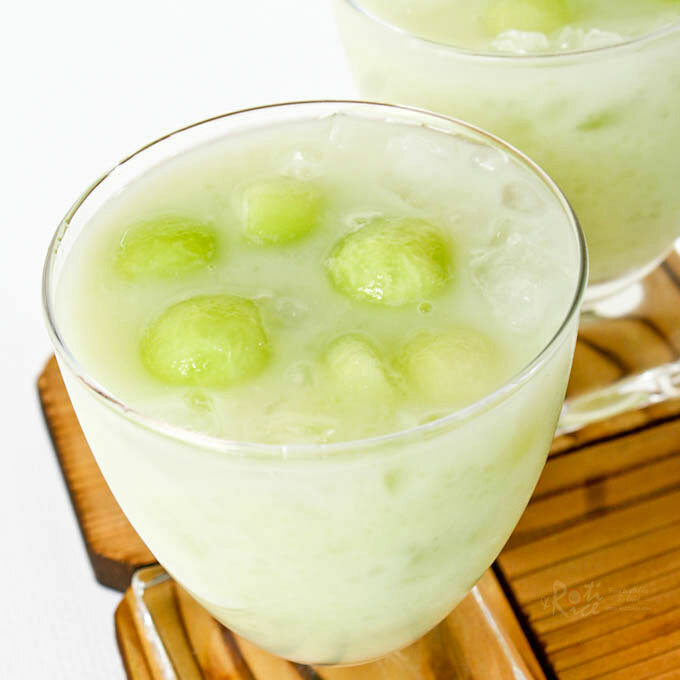 Nothing beats a glass of this cool refreshing Honeydew Sago Dessert with coconut milk on a warm summer’s day. Big on taste and very easy to prepare. Honeydew melons are beginning to emerge at the grocery stores as the weather warms up. I brought one home with me this past weekend as I have been wanting to make this Honeydew Sago Dessert for a while now. Often served at Chinese wedding banquets in Malaysia, this light and refreshing dessert is the perfect ending to a 10-course feast. Sago is a starch extracted from the pith of the sago palm. This starch is made into sago pearls and is often used in desserts like Ebony n Ivory. In Southeast Asia, sago pearls are more commonly found than tapioca pearls. Though they are very similar in appearance, taste, and texture, I find sago pearls to retain its shape better. Unfortunately I have not seen sago pearls here in the US. My precious stock was purchased during my last visit to Malaysia. 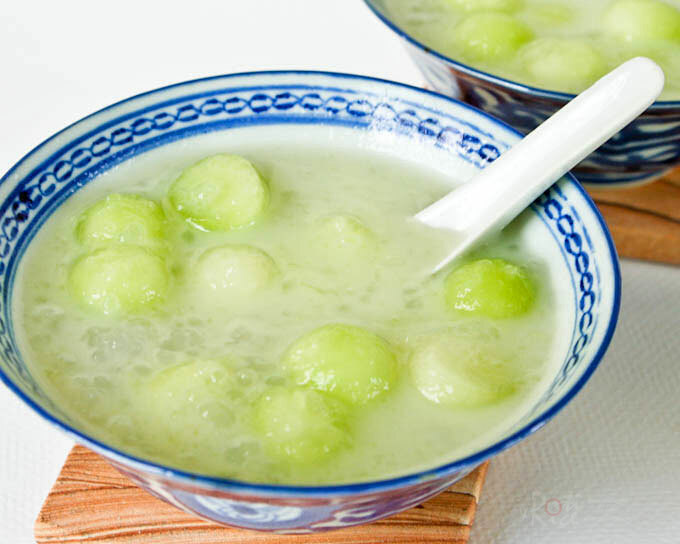 This Honeydew Sago Dessert is very simple to prepare and there is no need to have a banquet in order to serve this. 🙂 Ready to drink coconut milk in cartons make it really convenient for desserts such as this. If you are using fresh or canned coconut milk, please do boil it with a pinch of salt before chilling in the refrigerator. Pandan (screwpine) leaves imparts a sweet fragrance to the syrup. It can be purchased in the frozen section of Asian grocery stores. You may have to ask for la dua at the Vietnamese stores. 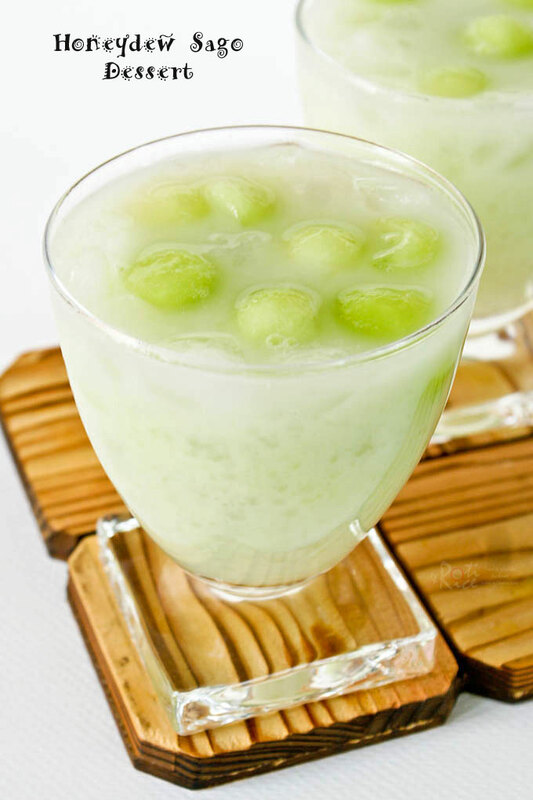 Nothing beats a glass of this cool refreshing Honeydew Sago Dessert with coconut milk on a warm summer's day. Big on taste and very easy to prepare. Cover sago with water and allow to soak for 30 minutes. Halve honeydew melon and scoop out the seeds. Using a melon baller, scoop out little balls of flesh. Remove skin and puree the remaining melon. Place melon balls and puree in separate containers. Chill in the refrigerator. Cook sago in a pot of boiling water until translucent. Sago is cooked when center is no longer opaque, about 7 to 8 minutes. Pour sago into a sieve and place under running water to remove excessive starch. Drain well. Prepare syrup by placing sugar, water, and pandan leaves in a small saucepan. Bring to a boil and stir till sugar dissolves, about 3 to 4 minutes. Turn off heat and remove pandan leaves. To serve, combined chilled honeydew puree, sago, and coconut milk in a large bowl. Add crushed ice and syrup to taste. Scoop into individual serving bowls and drop in a few melon balls. **If you are using fresh coconut milk or coconut milk from can, please boil coconut milk with a quarter teaspoon salt. Chill in the refrigerator. I like to serve this Honeydew Sago Dessert in glass or crystal bowls but it is normally served in small soup bowls at the Chinese banquets. Honeydew and coconut – what a neat and refreshing combination! I don’t care for melons, any type of melons, but this sounds like something I need to try… sounds sooo refreshing! Biren, I love all the food you expose us too. I totally want to try this. It looks so refreshing and a nice end to a dinner. Thanks Nami! Pandan leaves are commonly used in Southeast Asia. My mom grows them in pots so that she can have them within easy reach. 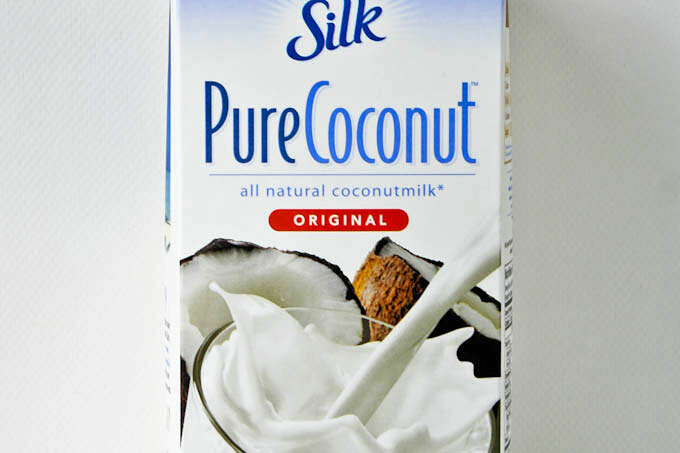 Coconut milk in cartons is relatively new. I prefer it to canned ones and use it in my cooking and baking. Look very refreshing to me. I love the lovely greens of this dessert. It is also very difficult to get fresh Pandan leaves in Australia and I usually freeze them if I buy them. Hey, Melon Sago is one of my fave. Feel like having one since the weather is so hot out there. Love it! It is really frustrating and sometimes ignorance is bliss. The trackback is a feature in WordPress that alerts you when someone links to you. I am not sure if there is a feature like that in Blogger. I miss this dessert and have not eaten it in a while. It is really good for the warmer weather. I tried adding the remaining honeydew flesh from the rind to savory (Chinese) soups before and they taste quite good! Yum, looks like my kind of dessert! I love sago and honeydew sounds like a wonderful addition. Looks like I need to get myself a melon baller..
Love this dessert, good anytime of the day! Oh, this looks really refreshing and perfect for summer! This really sounds so delicious, Biren. The melons are starting to sell in the shops here and I can’t wait to make this for my husband and daughter. Both are big fans of melons and sago. Thanks for the tip on how to cook sago. I don’t soak it so it takes a while to cook. You can but coconut milk in cartons to drink! How lucky. This is so refreshing, a saviour in this perpetual summer here in Malaysia! I always thought sago and tapioca were one and the same! This is so different from any dessert I’ve ever had – in a good way! It’s really nice for summer – so refreshing with the melon being the star of the show. awww my mom used to make this! reminds me of being a little girl. Had some honeydew melon today too. They taste really good when in season. The sago dessert looks delectable! Just saw your guest post at Jill’s blog and I had to come and give your blog a proper snoop! It’s awesome and this honeydew dessert looks simply delicious! This look really fresh and delicious! It looks delicious. Wonderful combination of flavors. Why do you recommend boiling the canned coconut milk with a pinch of salt before chilling?